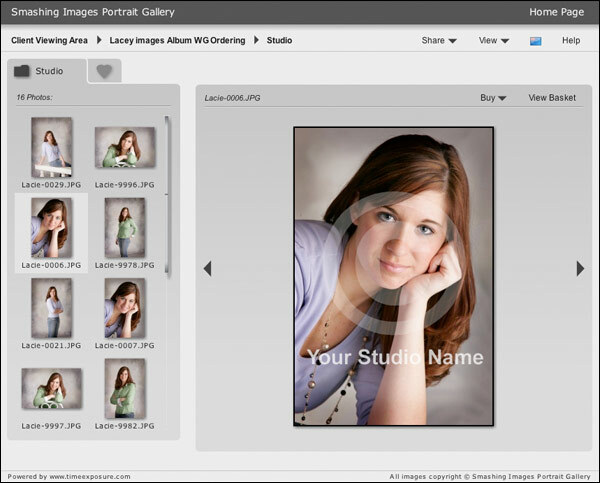 To see your uploaded images, your clients simply go to a web page which contains the WebGallery Viewer. change to another image, if you wish). You can setup an unlimited number of Index pages and load different albums onto different Index pages (eg portrait vs wedding vs commercial albums). Then use a different link to each Index page from your web site. Each index page can optionally be cross-linked to each other so your clients can easily move between Index pages without leaving the WebGallery Viewer page. To see this option in our Demo Gallery click here. When you use this option the Viewer will start up prompting the visitor to enter the Album's unique Reference ID (which you have set), their email address and, if required, a password. 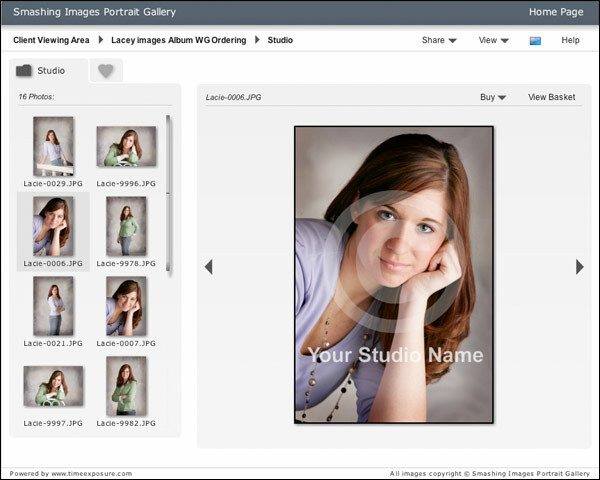 This option is recommended if you do not wish your clients to see any other uploaded album names. 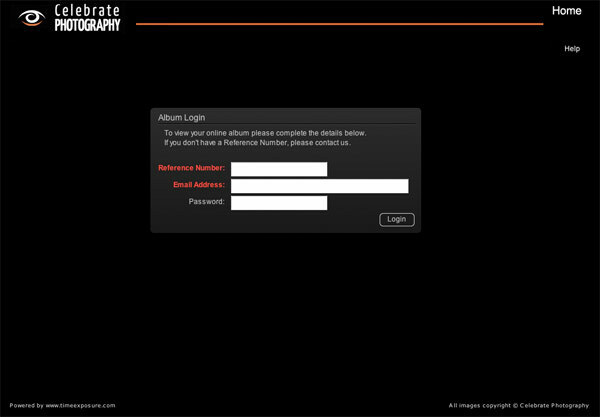 The collected visitor email addresses are also automatically sent to you when the album expires. These can be used for follow-up email marketing. 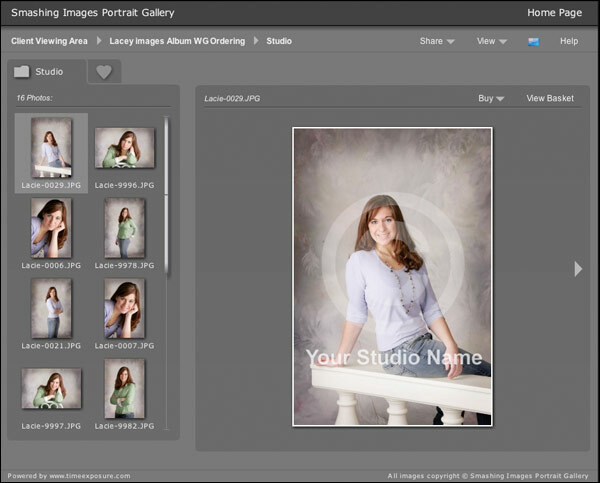 To see this option in our Demo Gallery click here (use Reference Number: "lacey"). When you use this option you can have a specific album automatically open from a link on your web site. This is really useful if you are using one or more WebGallery albums to display your portfolio or examples of recent jobs. In this case, you would normally set these albums to never expire. In this case, you can also select to have the album automatically start in Slideshow view. To see this option in our Demo Gallery click here. To see this option with the automatic slideshow start click here. Apart for the black background theme shown above and in the Demo Gallery, you can quickly select from the range of different page color themes shown below and customize these with your own logo graphics. If you want more control over the colours you can use the integrated Style Editor to fully customise all of the colors.